In 1801 the statue was completed with a canopy for protection from bad weather. Since the raising of “their“ Madonna the citizens have believed in her protective effect. Legend has it that in 1939, two very religious women from Hochheim entered a local butchery. One of the women declared in a chat : “Hochheim will be largely saved from WWII. The Madonna will hold her cloak in a protective way above the town, only at the town’s seam will be some war damage.“ That was exactly what happened. 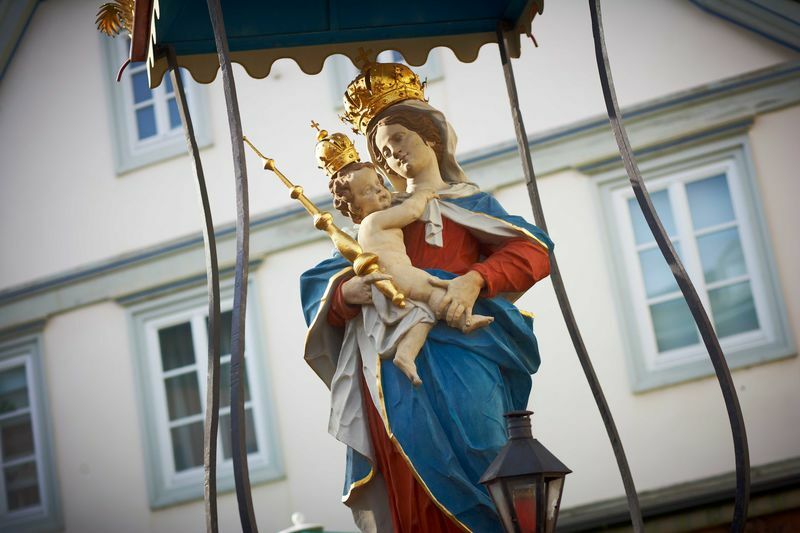 The Madonna is worshipped with a procession on the last Saturday in May each year . 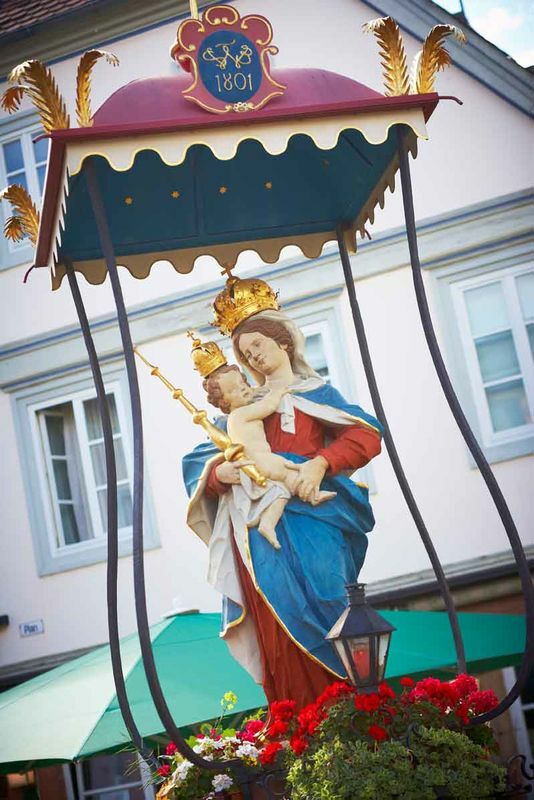 Up to the present, the Madonna serves as Hochheim’s landmark.